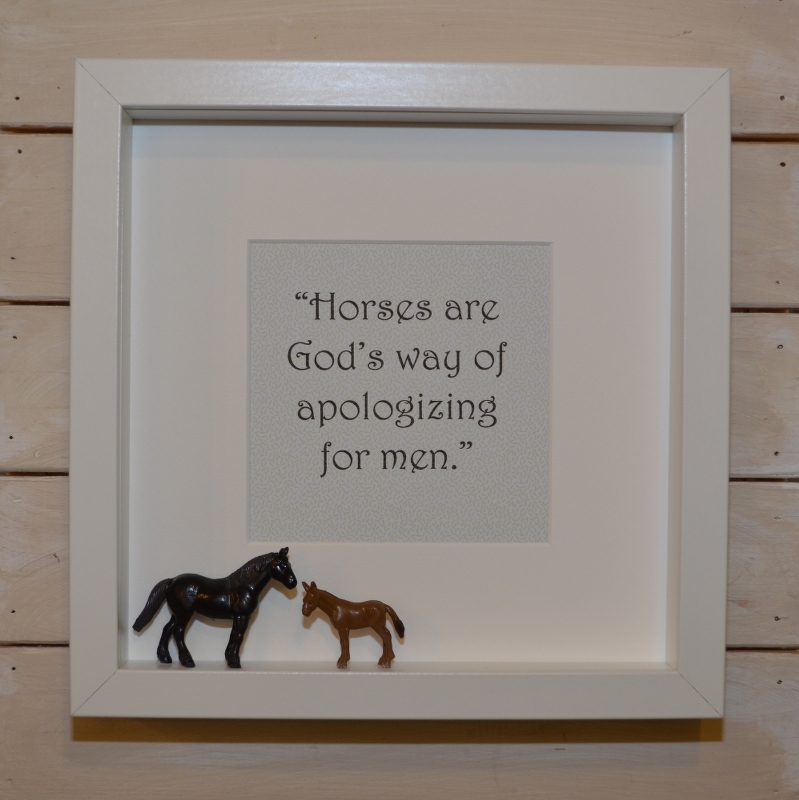 What better gift for a horse lover! 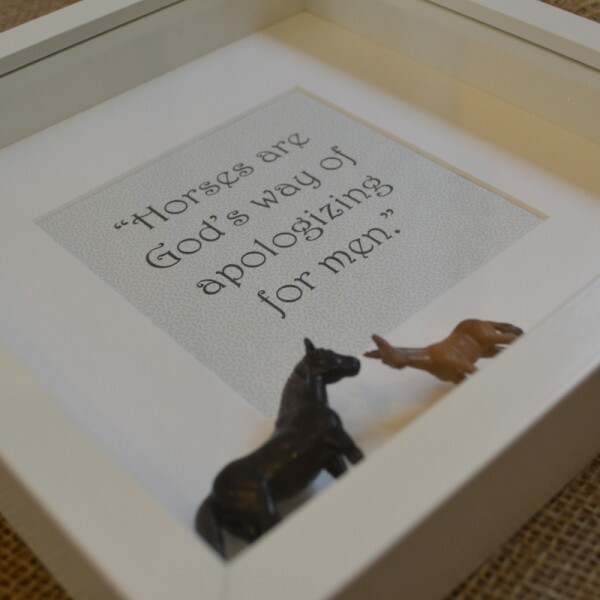 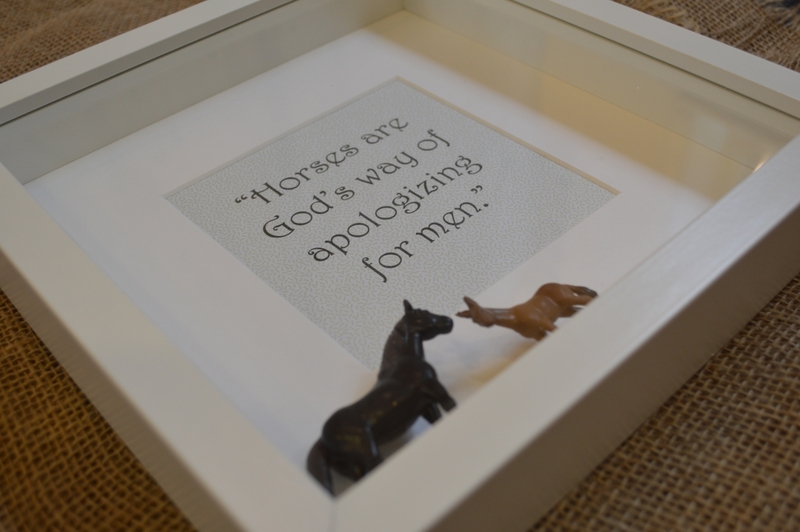 This quote reads ‘Horses are God’s way of apologizing for men.’ It is finished off with a miniature horse standing in the frame. Horse may vary from time to time.